Cade Prinzivalli is a junior at Bishop Blanchet and is a new addition to The Miter staff. A novice journalist, he hopes to enhance his writing abilities and is eager to contribute to the newspaper. He enjoy spending his free time with friends and playing basketball. 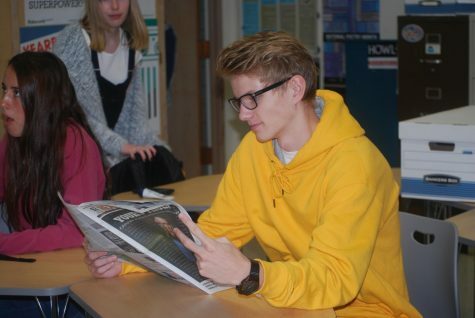 He has an extensive interest in politics and events going on in our countries and hopes to incorporate this interest into his journalist experience. He hopes to go onto study business and finances.